Each person has his own area of expertise that they identify with, SADAKA network NGO gives opportunities to people just like you to come to Tanzania and create your own project for which you will become the “Project Creator”, a project that will empower local communities, bring positive change in their lives and put a smile on their faces. For each project created there will be openings for additional volunteers to join and work along with the Project Creator and our local SADAKA network NGO team. We call our volunteers “SADAKA network ANGELS”. As a Project Creator you will encounter a lot of challenges. 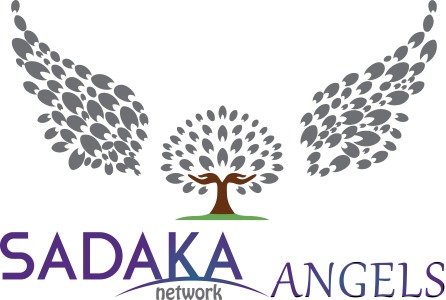 Recognizing these potential challenges, SADAKA network NGO will provide you with the assistance and support required as a SADAKA network ANGEL to promote your agenda in Tanzania. As part of our SADAKA network ANGELS program, you will interact directly with the local communities. In addition, your project will be “adopted” by a Religious Leader and his community who will proactively support the project activities by being part of the project and sending donations via the SADAKA network donation platform. As a SADAKA network ANGEL you will get an opportunity to learn a lot about people’s lives and understand the needs of others as part of the project you are involved in and simultaneously have a unique opportunity to be part of something bigger. We all know it is the power of giving which promotes personal growth and self-esteem. There is nothing better than doing something that gives you a sense of purpose and accomplishment. Become a SADAKA network ANGEL.